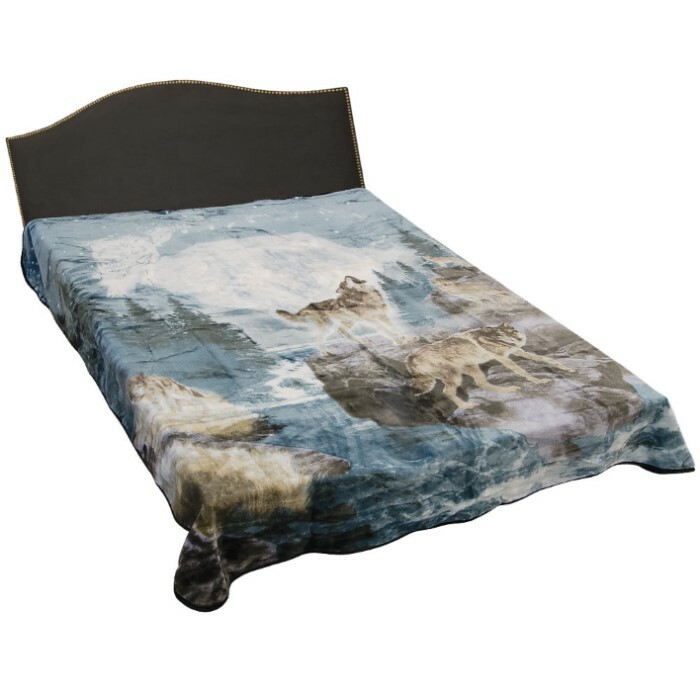 Moon Wolf Faux Fur Blanket - Queen Size | BUDK.com - Knives & Swords At The Lowest Prices! 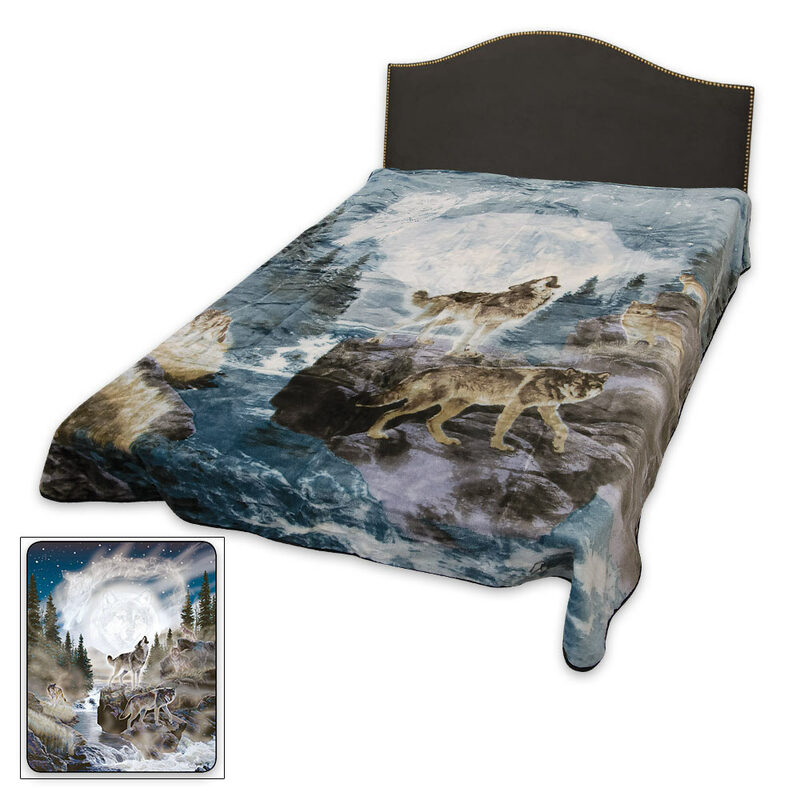 Cover yourself with this beautifully stunning medium weight soft faux fur blanket. 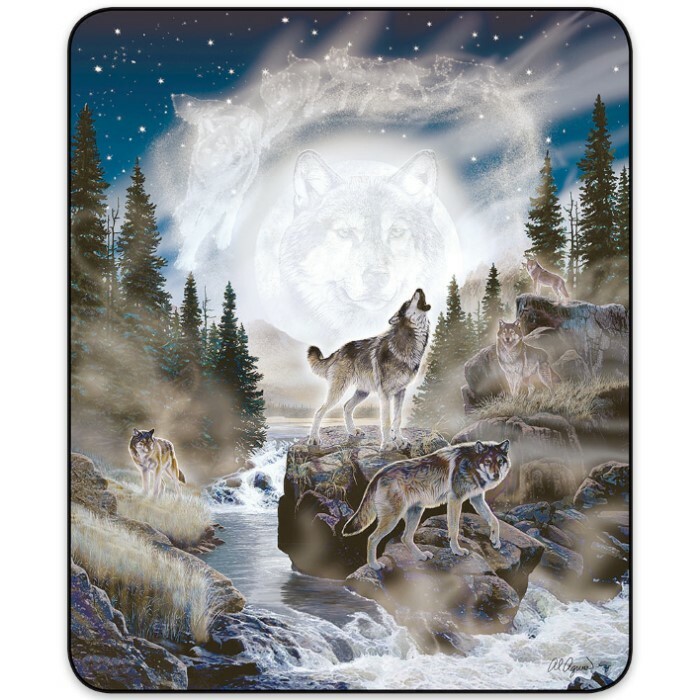 The queen-sized, super plush blanket features a beautifully detailed portrayal of a wolf pack and its spirit brothers against the backdrop of a timber wilderness during a full moon. The officially licensed design is vivid and luxurious. It will look great on your couch, recliner or as a bedspread.